Mike and Phillip are in Amarillo, Texas this week, visiting family ranches with Certified Angus Beef, purveyors of the beef we use at 17th Street. 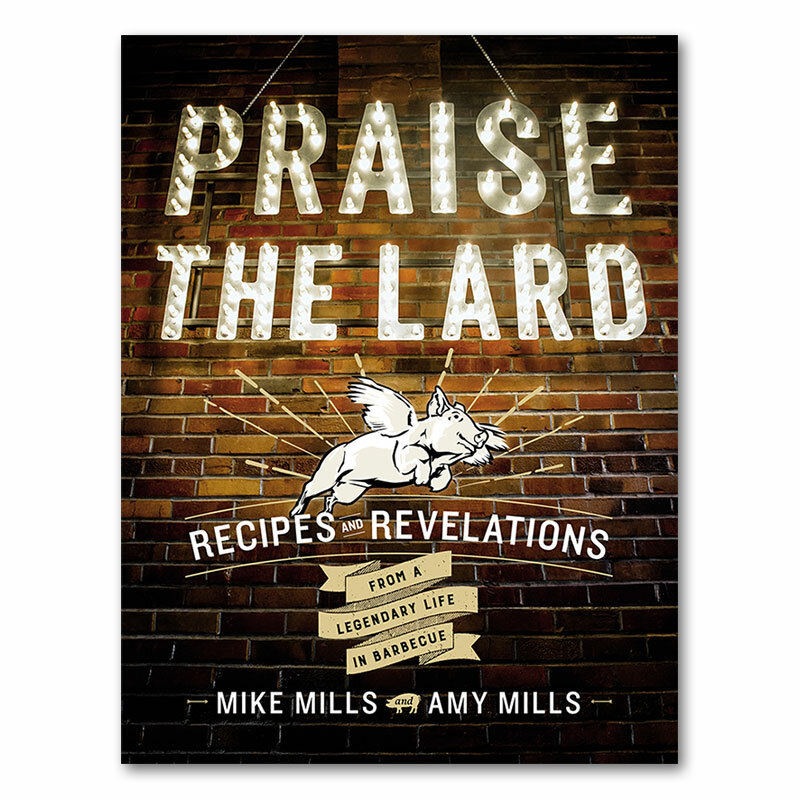 Below you’ll find a method from our new book, Praise the Lard, outlining the reverse sear, our favorite way to cook steak. The term “reverse-sear” refers to flipping the traditional sequence of steak-cooking steps so that the meat is first infused with smoke and searing happens just before serving. 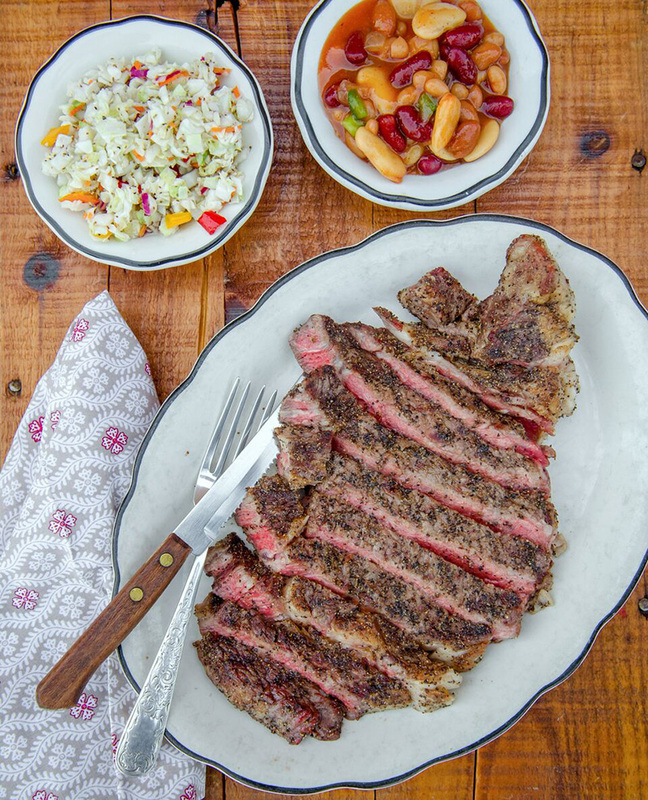 This is an easy route to a tender piece of meat with a delicious savory crust, especially if a perfect medium-rare is your goal—which is one of the factors determining a win, according to Steak Cookoff Association guidelines. We like to cook boneless Certified Angus Beef prime or choice grade meat. Bone-in or boneless—the choice is yours. Up to 40 minutes prior to cooking, season the steak generously with the shake. Set the steaks on a baking sheet and refrigerate them, loosely covered, until you’re ready to grill. Set up the cooker for indirect-heat smoking: Open the top and bottom vents. Load a charcoal chimney one-quarter full of charcoal and light it. When the coals in the chimney are glowing, dump them on one side of the cooker. Set the wood on top of the coals, replace the grate, and put the steaks over the side with no coals (the indirect cooking area). Close the lid. Don’t open the cooker for 15 minutes, but keep a close eye on the temperature (see page 84 for how best to assess and monitor cooker temperature); when it reaches 200°, which might happen very quickly, close the vents about halfway so that less air comes in to feed the re and the heat in the cooker rises slowly. Let the temperature climb to between 225° and 250° (see page 77 for how to determine your target temperature). Maintain your target temperature; if at any point it climbs more than 5° above your target, close the top and bottom vents further so that even less air comes in to feed the fire. After 15 minutes, open the lid of the cooker and use an instant-read thermometer to check the internal temperature of the thickest part of the steak; you are looking for a slow and steady climb to 105° (for rare) or 110° (for medium-rare). This will take no longer than 20 minutes. After you check the meat temperature, reload the chimney halfway with charcoal and light it. You’ll soon need these additional hot coals to sear the steaks at the finishing stage, after they’re done smoking. When the steaks are 105° for rare or 110° for medium-rare, set them aside on a baking sheet. Working quickly, add the hot coals and spread them out all over the bottom of the cooker. Replace the grate and put the steaks directly over the hot coals. Sear for a minute or two on each side, just until a brown crust forms and the internal temperature is 120° for rare or 130° for medium-rare. Top each steak with a slice of Herb and Garlic Butter, and blue cheese if you like, and serve. Combine all the ingredients in a small bowl and mix with a whisk to blend evenly. Store in a tightly covered container in a cool, dark place. Keeps for about 6 months, or until the color or pungent aroma fades. Press this butter into a ramekin or roll it into a log, chill, and cut into slices to top a steak. Bring to room temperature for spreading on biscuits or buttering ears of corn, baked potatoes, or vegetables. Pulse the herbs and garlic in a food processor until finely chopped. Add the butter, lemon zest, and lemon juice and process until smooth. Season with salt and pepper to taste and pulse to combine. 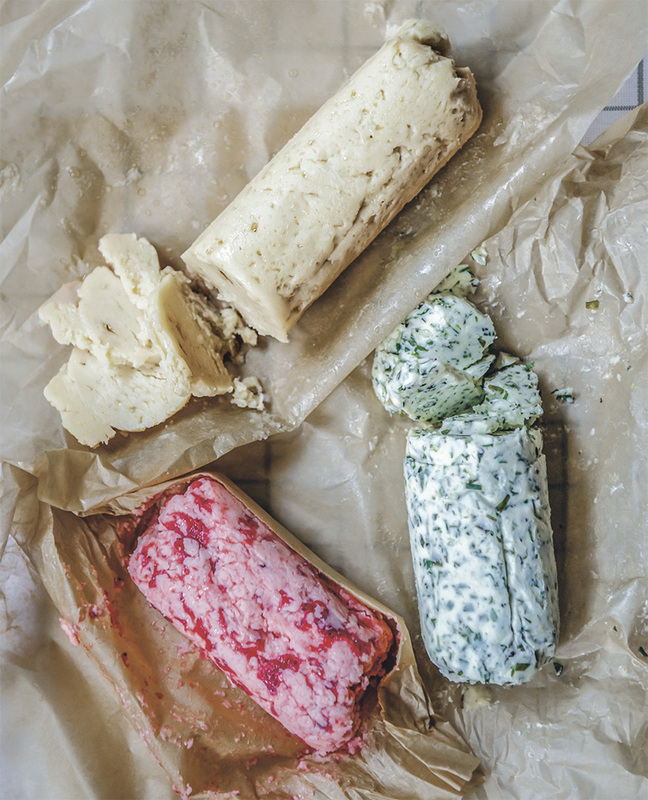 Scrape the butter into a ramekin and cover with plastic wrap, or scrape onto a sheet of parchment paper and form into a cylinder about 2 inches in diameter. Roll the paper to cover it and twist the ends. Wrap in foil to keep airtight, and refrigerate or freeze. The butter keeps in the refrigerator for up to 1 week or in the freezer for up to 1 month.